How to integrate Google analytic with your WordPress Blog? Do you know about google analytics? Google analytics is a powerful way to monitor your site’s stats. If you are a new user, this guide will help you on How to install Google Analytics on a WordPress blog and its setup. Most of the websites are using this awesome service to track the blog/website traffic status. If you are not using this analytics service, install on your blog immediately. Nowadays, more websites that are not using the Analytics service to measure their traffic. So, we are going to explain in a stepwise manner as a beginner’s point of view. How to set up a Google Analytics account for the first time? How to Install Google Analytics in WordPress Blogs? How to integrate Google Analytics to WordPress without a plugin or within the active theme? How to install Google analytics with the plugin? How to check your Blog reports on Google analytics website? Google analytics is one of the Free services from Google. Google launched this service in November 2005 after acquiring from the Urchin Software Corporation. Now the Google analytics is the most popular web analytics service on the web world. The Google Analytics is offering two different additional versions. They are Google Analytics 360 (Google Analytics Premium) for enterprise target base and, Google Analytics for Mobile Apps (Target for gathering usage data from iOS and Android). They are subscription based services. On September 29, 2011, It launched Real-time analytics. It helps you to know the insight about visitors currently on the site. But now Google analytics are providing free services to normal blogs to track web statistics. 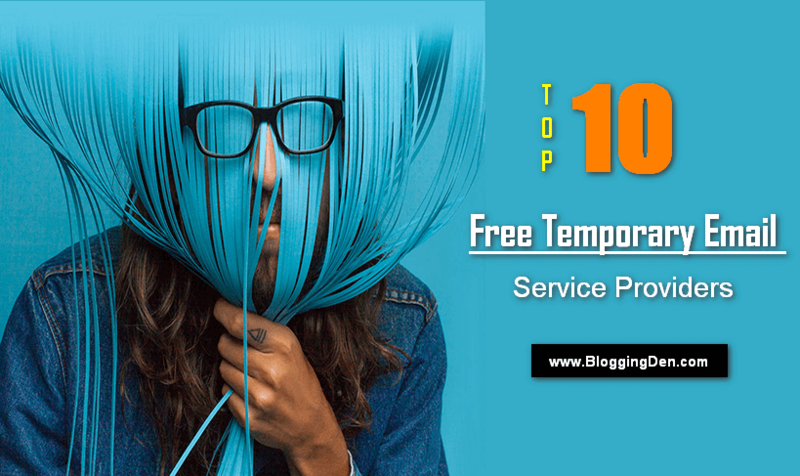 Normal blogs mean self-hosted WordPress blogs, Blogspot blogs, and some other free blogging platforms. With this service, users can have up to 100 site profiles with one website to each profile. 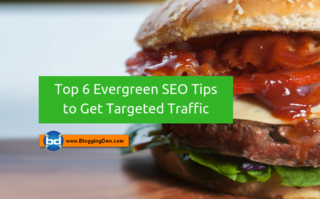 But it is limited to sites which have a traffic of limited than 5 million page views per month. Before installing the above plugin, you need to set up a Google Analytics account for your blog. The below steps help you in this account setup. This is the time to create a new Google Analytics account. To do this, Visit Google Analytics SignUp page. After clicking on the link, you will get the screen like below. If you are having any Google or Gmail account, you can use that directly to sign in. If you do not have any Gmail account, create one Gmail account, then use the login details here. After entering your login details of Google account or Gmail, you will get Signup button for a new Google analytics account. Now click on the button. Now choose a Web site. Then fill the details in Account Name, Website Name, Website URL, Industry category and Reporting time zone in Setting up your account form. Once you have entered the information, click on Get Tracking ID and click on I Agree on the button by agreeing to the terms and conditions of Google analytics. Now you will be redirected to your Google Analytics tracking code. Just copy the Website tracking code and Tracking ID in a separate Notepad. Do not close this page. You may need to revisit this page. Open your blog in separate tab and login into your WordPress dashboard. There are more methods are used to integrate your newly created Google analytics tracking code into your WordPress blog. Your New google analytics account is ready. Now you need to know How to install Google Analytics in WordPress. There are so many different methods are using to setup Google analytics in WordPress blogs. 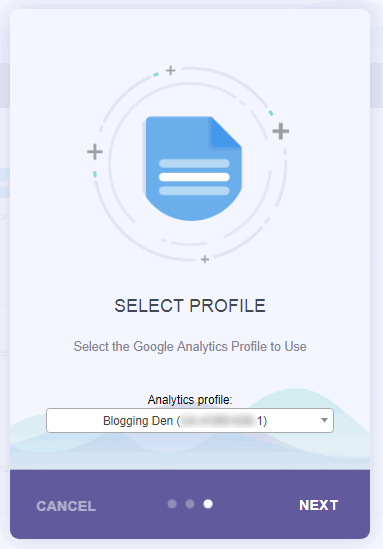 To install Google Analytics in your WordPress Blog, here I am going to explain this installation process in three different methods. Choose one method and start the installation as per your needs and requirements. How to integrate Google analytics without a plugin? Login into Google Analytics account and select your website for which you need the tracking code. Now you will get the Google Analytics Tracking code under the Website Tracking Select the code by pressing Ctrl+A in the box, then press Ctrl + C. Now save the code in Notepad separately. Login to your WordPress dashboard and go to Appearance > Editor from the left sidebar. Then click the Update file. That’s it. Now your website will start tracking by Google analytics code. Because you have added Google analytics in WordPress in WordPress without a plugin. Google Analytics WordPress plugin installation and setup is very easy than the first method. To do this you need to choose one best plugin either Free or Premium. I listed a few of the WordPress plugins above. Personally, I am using those plugins in my blogs and getting great insights for my blogs without logging from my WordPress dashboard. Check the Google Analytics WordPress Plugins list to understand the functions and pick one from the list as per your blog needs. The MonsterInsights plugin has two versions. They are Free version and MonsterInsights Pro version. In pro version E-commerce tracking, Ads tracking, Author tracking features are additional features. You will get the plugin in the result page, then click on Install then click to Activate. After the plugin activation, you will get the message at the top of your dashboard. To setup your Google account with this plugin, just click the link Google analytics settings. 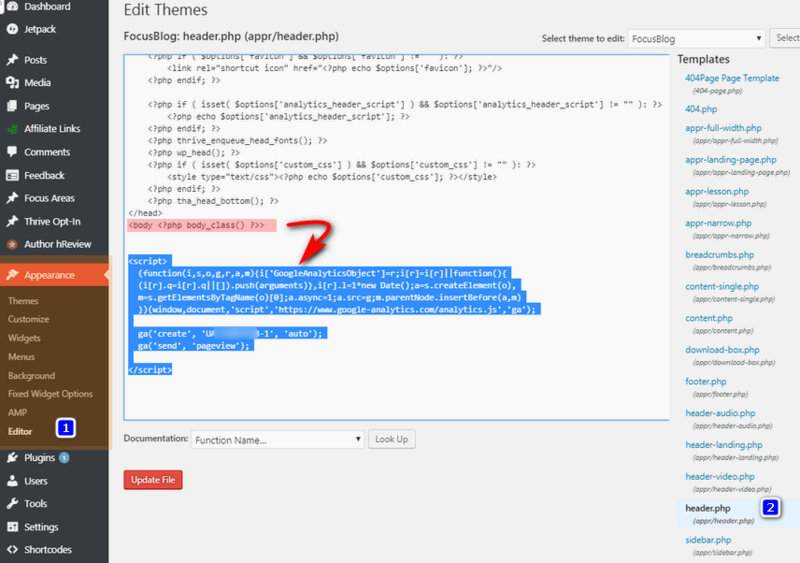 It redirects to Insights > Setting page and starts the plugin configuration. Here your google account will ask the permission in a separate pop-up window. Just click on Allow. The popup will show a line of code. Just copy that code. Paste the code in the MonsterInsights pop-up then click Next to continue. 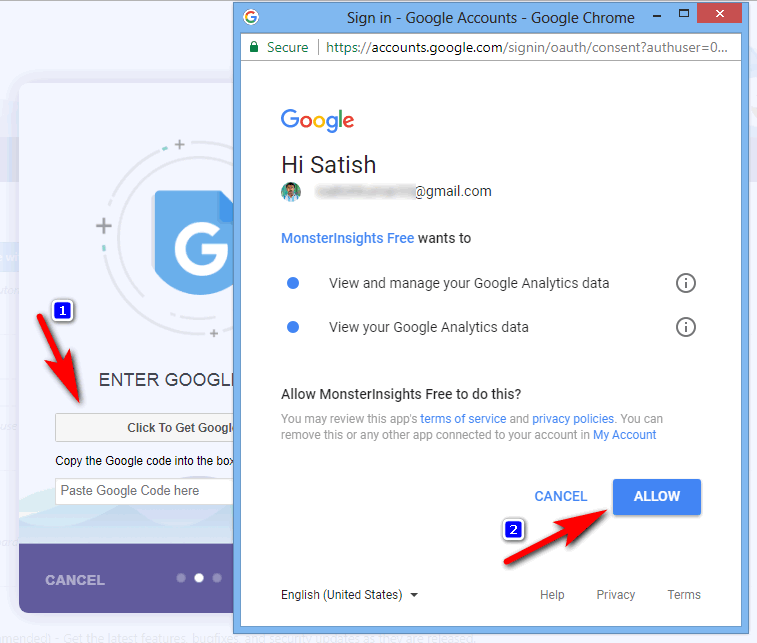 Your google account authenticated with MonsterInsights plugin. Now select the profile from the Analytics Profile and choose your Website name from the drop-down menu and then click Next and done. Now you have successfully installed and setup Google Analytics on your WordPress site. The plugin will start collecting google analytics data from your Google Analytics account. To display the results it takes some time. After a few hours, your google analytics report will be shown inside of your WordPress dashboard. To see this report, visit Insights > Reports page to check out the data. 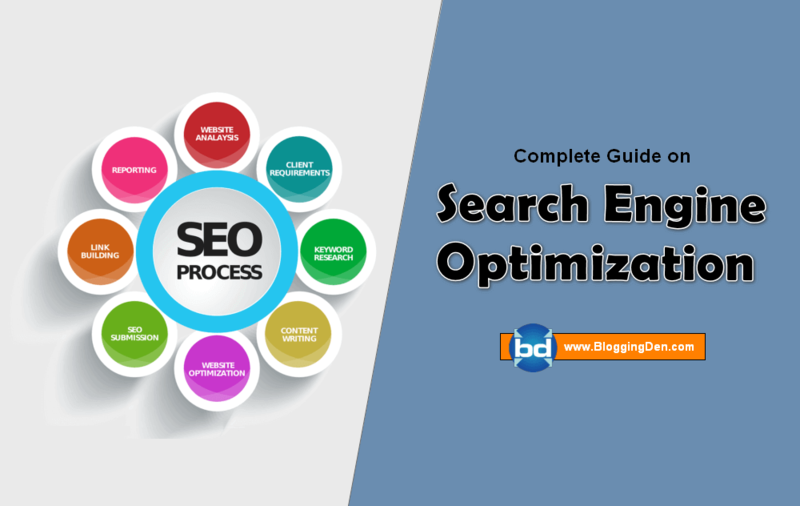 After complete the above steps such as install or integration method of Google analytics with your blog, if you need to check your blog statistics or reports on official analytics, follow the below steps. Step 1: Login to your Google Analytics account with your credentials. Step 2: You will be redirected to the built-in Google analytics report dashboard. It has an Audience, Acquisition, Behaviour, and Conversions in the left column. These are the basic places to know the additional details of your users or visitors entry to their activity on your blog. This article helps you to learn How to install Google analytics in WordPress blog with Plugins or without Plugin. If you like this article please share with your friends on social media. You can find me on Facebook, Twitter, and Google plus for more additional information. If you liked this article, Share with your friends on social media like Facebook, Twitter and Google Plus. Are you planning to start a new WordPress blog? If yes, this free guide is for you. Follow the step by step procedure, create a new blog and start a new blogging journey with a better online presence. Click the below button and grab the free copy of Free Ultimate WordPress Blogging Guide and start your journey.